Ink and wash painting by John Piper (1903 - 1992) painted in 1940. 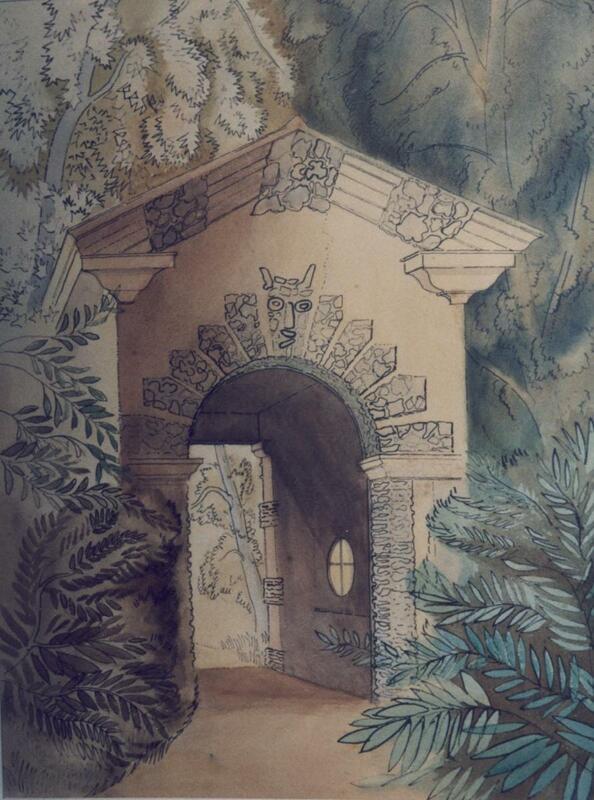 The picture is a view from the river of a pedimented classical archway in Fawley Court gardens near Henley on Thames. The gate leads the walker to the river. The gateway itself is an imported Norman doorway and is placed not far from the midway mark on the Regatta course.